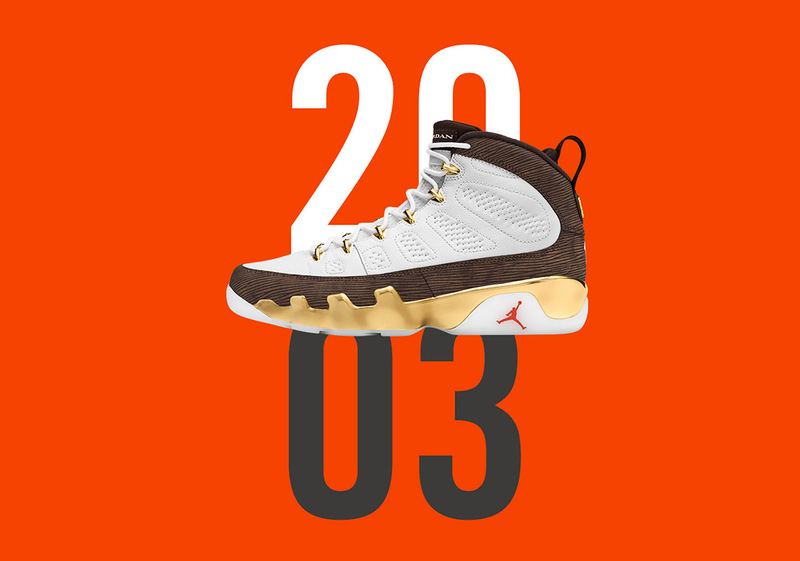 Jordan Brand is set to release an Air Jordan 9 inspired by Carmelo Anthony’s championship run with Syracuse in 2003. 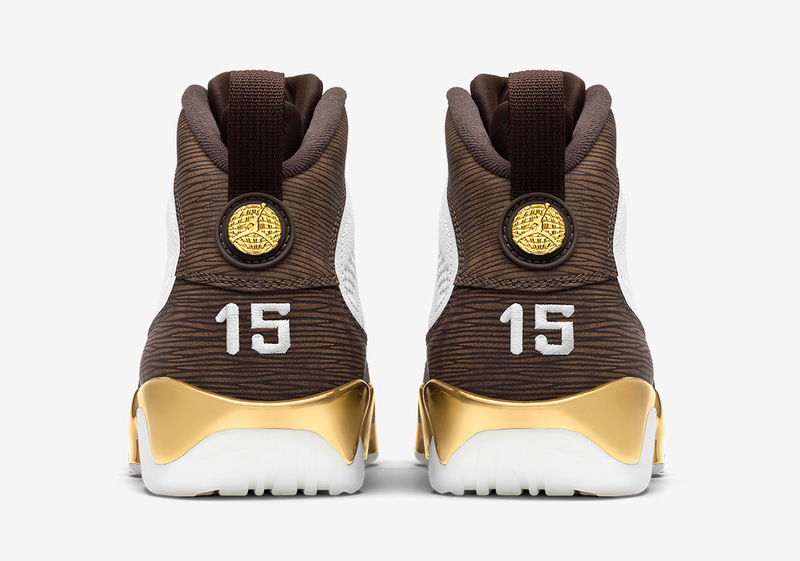 The colorway in particular features cues from the NCAA trophy with hits of orange nodding Syracuse’s team colors. 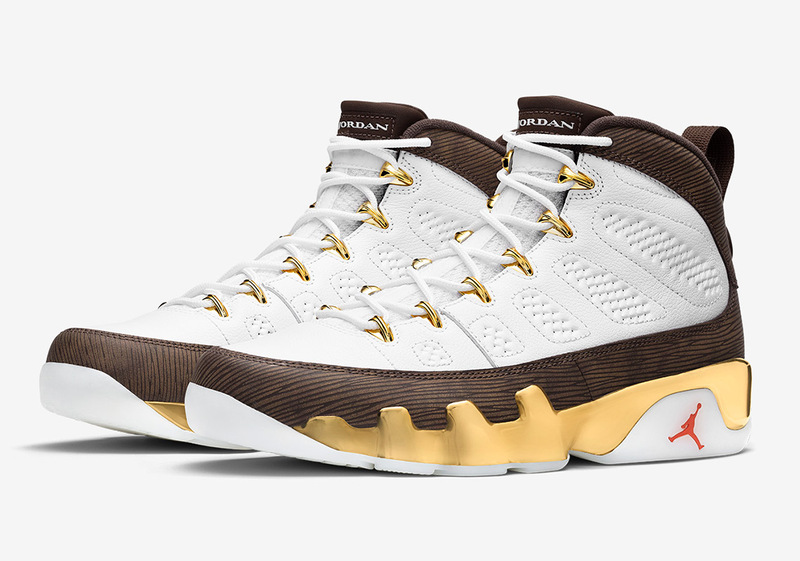 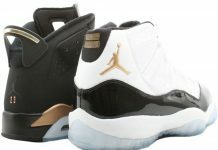 The heel sports a brown wooden pattern on the heel, with gold accenting the jumpman logos and midsoles. 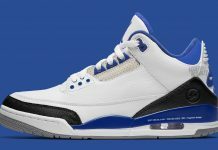 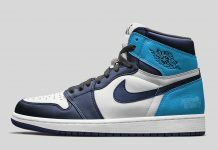 No word on when these will be dropping but stay tuned with Modern Notoriety for a release date.